Ralph Tyrone Cooper, 80, is charged with murder in the death of his common-law wife, Mary Ann Burton, 21, police say. 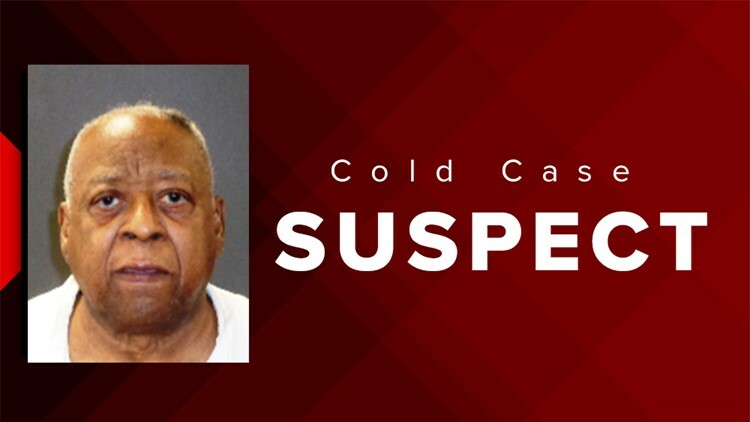 HOUSTON – An 80-year-old man has been charged in connection with cold case involving the fatal shooting of a woman in 1969. The Houston Police Department says Ralph Tyrone Cooper, 80, is charged with murder in the death of his common-law wife, Mary Ann Burton, 21. According to investigators, Cooper arrived at his home in the 2400 block of South MacGregor Way and got into an argument with Burton on July 16, 1969. The argument escalated and Cooper shot Burton in the head with a handgun. Cooper fled Houston soon after the murder. Investigators said Burton's body was found in a vacant field in the 6300 block of Grand on July 20. At that time, HPD investigators obtained a warrant for Cooper's arrest. However, due to the age of the case, the warrant was dismissed on June 6, 1973. Last month, Burton's family members contacted HPD Cold Case Unit with information on Cooper's whereabouts. Cooper was determined to be in custody at the TDCJ Estelle Unit serving a prison sentence on an unrelated murder charge out of Bexar County in San Antonio. On Aug. 2, HPD homicide investigators traveled to Huntsville, to meet with Cooper, and he admitted to his involvement in Burton's death. A murder charge was filed on Wednesday.